Geosciences (ISSN 2076-3263) is an international, peer-reviewed open access journal, which publishes original papers, rapid communications, technical notes and review articles, and discussions about all interdisciplinary aspects of the Earth and Planetary Sciences. This comprises the solid earth, the atmosphere, the hydrosphere, and the biosphere, as well as related issues of planetary and space sciences. In addition, it provides a particular place, and an advanced forum, for contributions on Earth history, natural hazards, geology-related environmental problems and geoethics, reflecting the wide scope and societal, educational, cultural and, in general, human implications of the cross-cutting nature of the issues. All related with Geosciences (sensu lato) considering its multiple and transdisciplinary links to Mathematics, Physics, Chemistry and Biology. 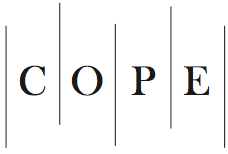 Geosciences is a member of the Committee on Publication Ethics (COPE). MDPI takes the responsibility to enforce a rigorous peer-review together with strict ethical policies and standards to ensure to add high quality scientific works to the field of scholarly publication. Unfortunately, cases of plagiarism, data falsification, inappropriate authorship credit, and the like, do arise. MDPI takes such publishing ethics issues very seriously and our editors are trained to proceed in such cases with a zero tolerance policy. To verify the originality of content submitted to our journals, we use iThenticate to check submissions against previous publications. MDPI works with Publons to provide reviewers with credit for their work. Authors and publishers are encouraged to send review copies of their recent related books to the following address. Received books will be listed as Books Received within the journal's News & Announcements section. © 2019 by the authors; licensee MDPI, Basel, Switzerland. This article is an open access article distributed under the terms and conditions of the Creative Commons Attribution License (http://creativecommons.org/licenses/by/4.0/). Reprints may be ordered. Please contact for more information on how to order reprints. Announcements regarding academic activities such as conferences are published for free. Advertisement can be either published or placed on the pertinent website. For further information, please contact the editorial office. For further MDPI contacts, see here.